Who is ready for a giveaway????!!!!!!! 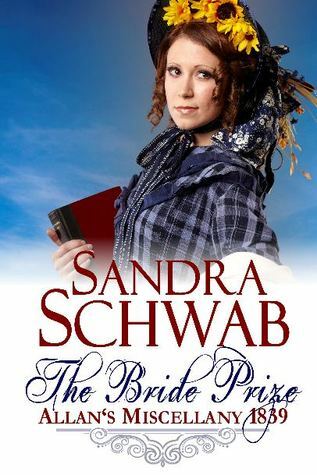 For this giveaway the lovely Sandra Schwab (talked about above) will be giving away TWO hard copies of her new book The Bride Prize. You have two chances to win! I will be randomly picking a winner and so will Carole over at her blog. Make sure to slip on over there to enter! "It's 1839, and Lord Eglinton's tournament in Scotland is the most anticipated event of the year: he and some of his noble friends will don medieval armor and joust like knights of old. Or is the tournament mere tomfoolery and the greatest folly of the century? Mr. Robert Beaton thinks it is." 1. Post a comment below saying you want to enter. Make sure to head over to Carole's blog (I will post the direct link when it goes up later today) for a second chance at winning! 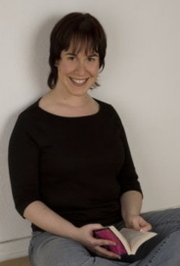 Sandra Schwab is also giving away free ebooks of the third book in the series! (They all stand well as stand alones). "Lawrence Pelham works as a comic artist for the magazine Allan's Miscellany. A chance meeting with a young woman dressed in mourning changes Pel's whole life, and without his even knowing, he is thrown into a world of mystery and intrigue, where nothing is as it seems to be - especially not the woman he has given his heart to. Her whole life Sarah Browne has been told how plain she is, how nondescript, destined to become an old maid. For years she has been her family's dutiful nursing maid, but now a secret inheritance and an encounter with the charming Mr. Pelham seem to offer her a chance to break out of her life of duty and drudgery - if she dares to take it. Yet how could such an interesting, witty man be possibly interested in her boring self? And so, Sarah soon find herself entangled in a web of lies and deceit, which might cost her the love of her life." Kobo.com is giving away this book for free until the end of the week. Make sure to fly on over there. I'd love to win a copy of this book! I'm new this author and would love to get to her. Thanks for the giveaway! This book looks great, I'd love to enter! Both of these books sound like a fun read. I don't think I've read a book by her before. Ooo these sound like fun, and I love the setting! She lives in a suburb of Frankfurt on the Main, Germany, with a cat, a duck, a sewing maching, and altogether too many books." A sewing MACHING? :O O MY DEAR, have the Germans invented a new weapon? Yes please!!! I'd love to be counted in thank you. Thanks so much for an opportunity to read your book. I want to be entered to win this book. It sounds really good. I haven't read any books by this author but I would love to try one. Thanks for having the giveaway. I would like to enter your giveaway, look forward to reading your books:) Thank you and good luck! Yes! I saw this earlier today on your blog and I added to my wishlist. Even better that I now have a chance to win it :). Thank you for hosting!